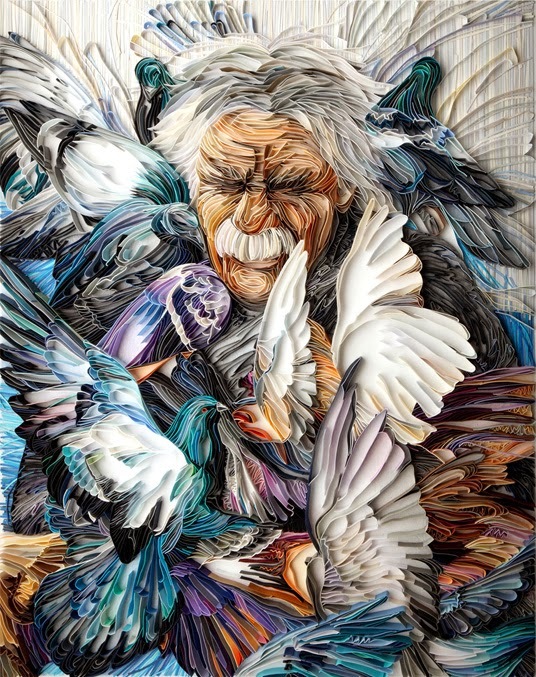 Yulia Brodskaya is a Russian artist living in the UK who uses paper to create her extremely detailed and original artwork. 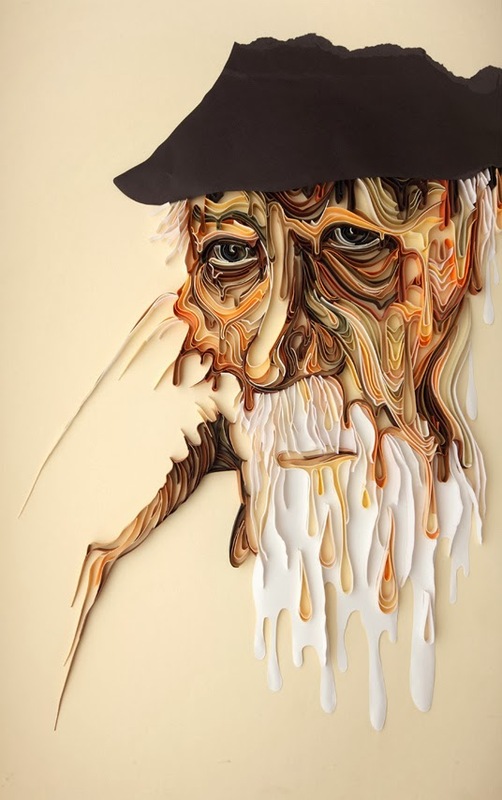 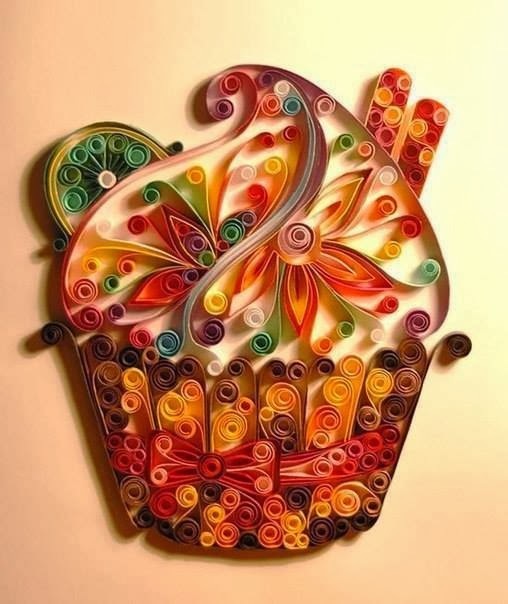 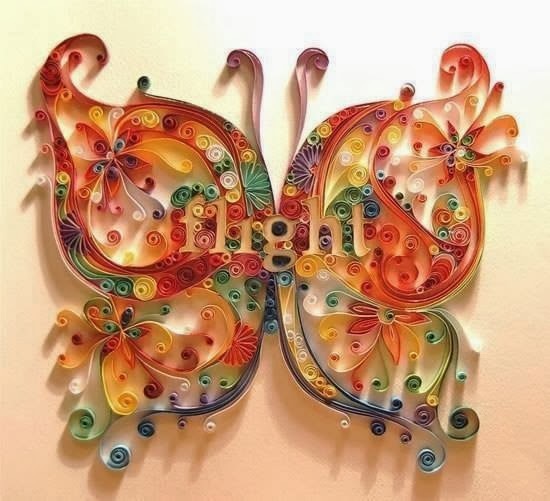 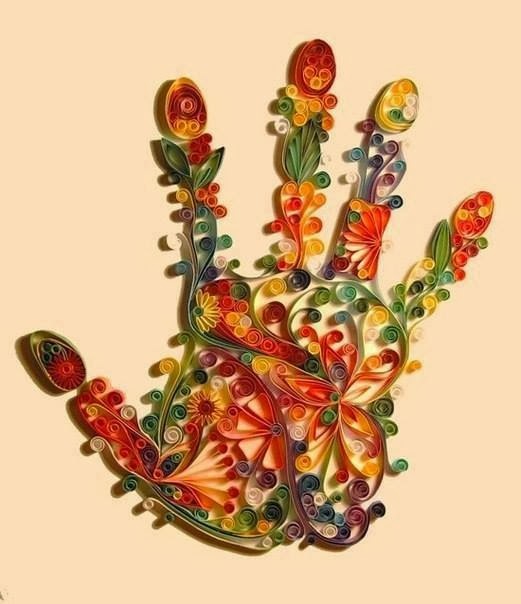 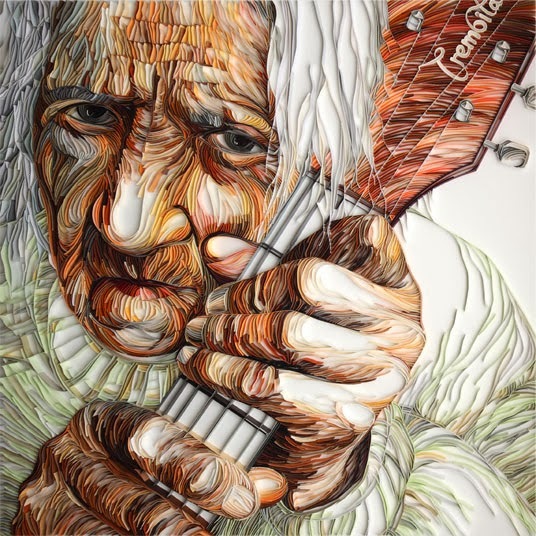 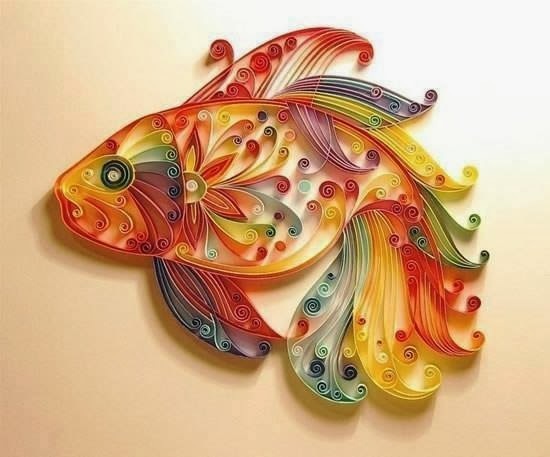 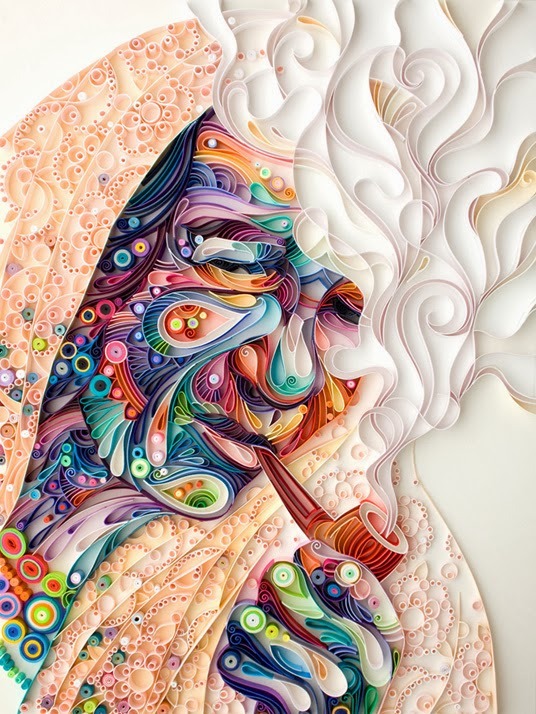 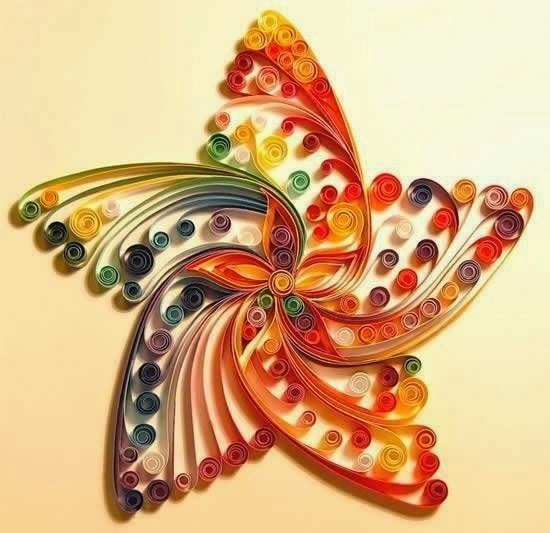 The method is known as quilling. 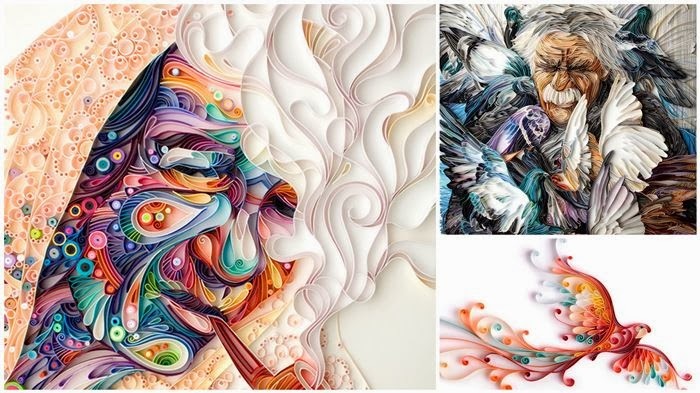 It involves selecting specific colors of paper, then cutting, folding, rolling, and gluing down these bits of paper in order to form a design or picture.